To write an unforgettable story, you need an unforgettable character. But what makes a character interesting? What keeps the reader / audience intrigued? If the character is the same from beginning to end, do you have a story? Yes, but do you have an unforgettable story? Think about the books on your keeper shelves. Even detective series stories sell better when the recurring sleuth character faces personal problems and continues to grow. Janet Evanovich knows this. Do we really care so much about Stephanie Plum’s latest mystery? No. We want to know what she’s going to do to resolve her romance with Joe Morelli while fighting her attraction to Ranger. We want to know if she can manage to keep from losing her newest car to yet another mishap. We want to know if her parents will finally reconcile themselves with her life’s chosen work. Personally, I want to know how she manages to zip her jeans after all those Tasty Cakes. So how do we make our protagonist stand out? First, you give him a flaw—at least one. Then you give him an opportunity for personal growth. How he responds to that opportunity is your story. To paraphrase Donald Maass (Writing the Breakout Novel), you should list five things your hero would never say and five things he’d never do. Then take the top one from each list and make him say/do it. Characters forced by circumstances to grow make memorable stories. Who can forget Scarlett O’Hara, Southern belle at the first of the book, shooting that trespassing Yankee and dumping his body in the well three or four hundred pages later? At the beginning of the 1990 film Quigley Down Under, we learn that Matthew Quigley prefers his special rifle to a handgun. We also know that Crazy Cora mistakes him for her ex-husband, Roy. She insists on calling him Roy, and Quigley insists on her calling him Matthew. The last thing he’d say is his name is Roy Cobb. The last thing he’d do is confront his nemesis with a handgun. Yet in the final ordeal, [spoiler alert] he kills Marston in a shootout using the pistol Marston provides, thinking to put Quigley at a disadvantage. At the movie’s end, when he’s a wanted man and is booking passage back to the states, the ticket master asks his name. Quigley sees Cora standing in the doorway and replies, “Roy Cobb,” the answer that saves him from capture but also communicates his affection for Cora. In the movie Collateral, Max is a taxi driver who takes great pride in his work and in the condition of his cab. The last thing he’d do is wreck his taxicab deliberately. [spoiler alert] Yet that is exactly what he must do to escape Vincent, the hit man holding him hostage. Collateral is a strong example of the hero’s journey (The Writer’s Journey by Christopher Vogler). The story is Max’s, skillfully portrayed by Jamie Foxx, from the Call to Adventure to the Return with the Elixir. During the course of one night he grows from playing it too safe in his ordinary world to [spoiler alert] confronting the hit man and killing him. Max is not the same man at the end of the story, and that keeps us riveted. Find the one thing your character fears or loathes then make him confront it. If your heroine must rescue her child from being trapped in a cave, make her claustrophobic. If the child is trapped in an upper floor of a burning building, make the rescuer fearful of heights. Notice how in every Indiana Jones movie Indy has to confront snakes? The fearless archaeology professor faces down Nazis and savage tribes but is deathly afraid of snakes. 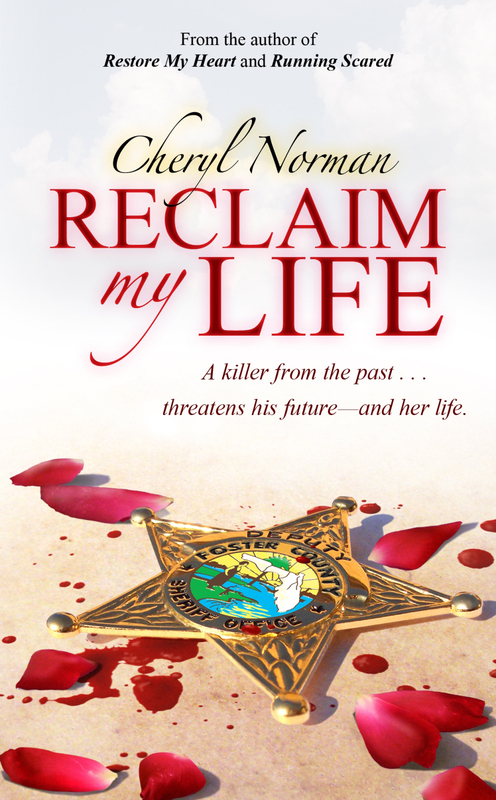 Find Cheryl’s newest novel, Reclaim My Life, here. Cheryl’s web site is here. ~ by Monette Michaels on January 19, 2010. I’d just like to add that in regency romance, where there are really only 3-4 major plot lines, characters are everything. Uninvoked — how very true. Georgette Heyer was the first romance author I ever read as a teenager and her characters were her novels. Devil’s Cub was my favorite and the byplay between Dominic and Mary kept me reading. Thanks for the comment! Cheri is a Joe-girl. I am a Ranger-girl. So who do you like? Great advice…I’m going to try the three things list now. Thanks for the tip Cheryl! Nice to “meet” you.